Cookie Chef Cookie Jar, BY DEMAND MARKETING. Muppets,Inc. 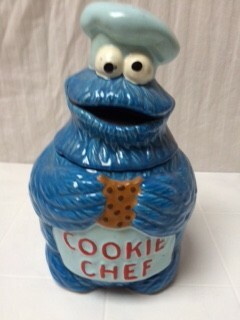 Demand Marketing - Cookie Chef Cookie Jar, circa 1970's. Marked: Demand Marketing, Henderson, KY, Made in U.S.A., copyright, MUPPETS, INC.